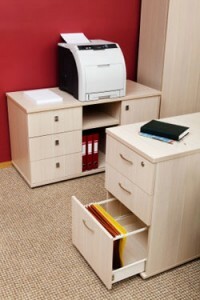 If you are in need of file cabinets for your business in Tampa, Florida, or other nearby area, then look no further than Reusable Office Interiors. We can provide you with trendy pieces that will impress clients and employees alike. Plus, we sell gently used and refurbished office furniture, which means you can get the beautiful and functional pieces you want at a fraction of the cost they would be brand new. We can also deliver all of your new furniture, including file cabinets, so that you don’t have to worry about carrying heavy pieces around. And, we can install all your new office furniture, so that you can keep focusing on running your business. Furthermore, if you have existing furniture in your office that you no longer want, our team is able to liquidate the pieces for you and even recycle eligible items for you, which could result in a tax credit for your business. To learn more about the file cabinets we have available for homeowners in the Tampa, FL, area, contact Reusable Office Interiors today. Our specialists will gladly answer any questions you have and can tell you more about the exceptional products and services we offer to business owners.